Ghosthunting Cornwall: Hosts of ghost nights and ghost Walks. 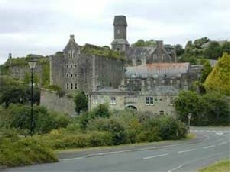 Bodmin Jail, a top haunted location in Cornwall. Open during the day to visitors with a restaurant. Open at night for functions and paranormal invests.